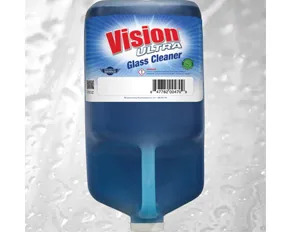 Cleaning Systems Inc.’s Vision Ultra Glass Cleaner is a concentrated glass cleaner that provides over 750 spray bottles from one gallon of product. It is a unique blend of cleaners that creates an anti-fogging property and excellent cleaning of organic soils and tough oily films. It is safe for all exterior and interior car surfaces and will not stain non-glass surfaces including polycarbonate. It was formulated to reduce cost while improving performance.